A group dedicated to bringing together scholars from all disciplines interested in different forms of graphic, visual and multi-modal storytelling. Join us! "What is interesting is always interconnection. Not the primacy of this over that, which has never any meaning." "Narrative" and "storytelling" are terms suffering continuous transformations. Different disciplines and areas in the education and 'commercial' sectors are embracing them to refer to different phenomena. This group's goal is to bring together members of the HASTAC community interested in different approaches to these terms, particularly to cultural phenomena like TV, film, comic strips, comic books or graphic novels, webcomics, games, video games, photographic journalism, immersive journalism, animation, computer animation, visualisation, infographics, graphic design, illustrated literature, curating, editing, net and digital art, etc. Though all of these expressions do have their own important specificities, there are also commonalities. This group seeks to advance multidisciplinary collaboration by encouraging the emphasis on interconnection rather than primacy. Rather than being too restrictive in its mission, this group seeks to be an open door to unexpected opportunities. 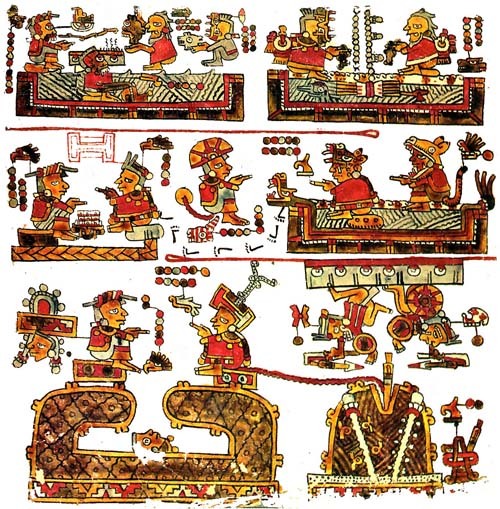 Image: Codex Selden, a Mixtec screenfold manuscript, Bodleian Library, Oxford University, ca. A.D. 1556.